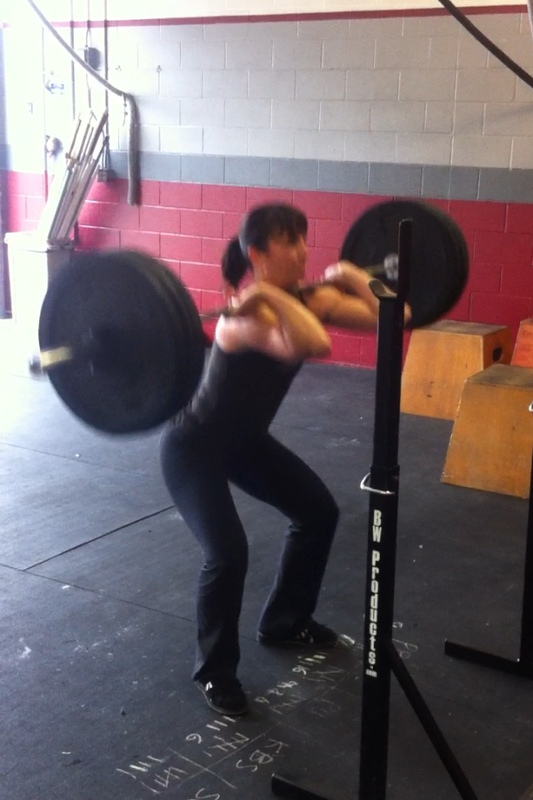 Nancy initiates her front squat very well. Notice the bar position here. It is nice and back, elbows high, with no signs of drifting forward. And sure enough, the bar is in the exact same place it was at the beginning of the squat. 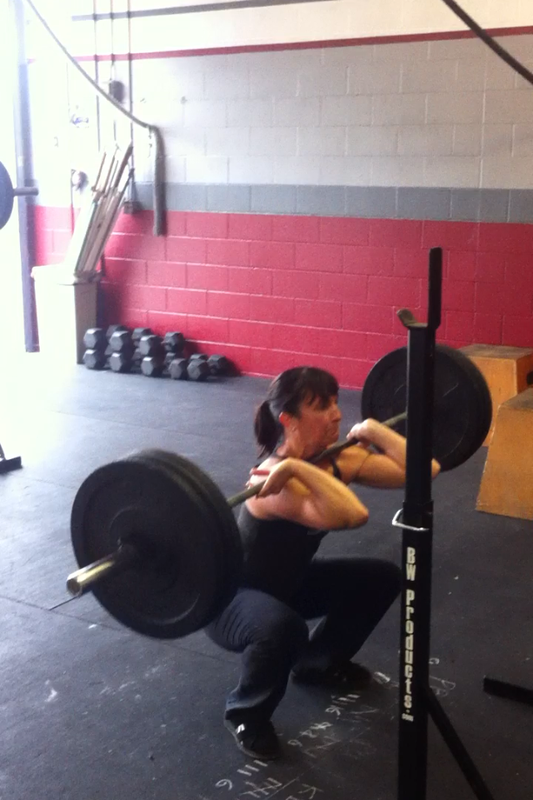 Nancy shows us a really, really nice bottom position in the front squat. Very nice range through the elbows, keeping the bar good and back. Did you notice today the bar sliding down or forward at all during your squat? Did you you feel it in your throat the whole time, if you did it was most likely in the right spot!